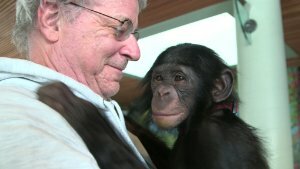 Between 2013 and 2015 a group of nonprofit attorneys, led by Steven Wise, seek nonhuman clients for whom they can advocate in two US territories through the common law writ of habeas corpus, with the long term objective of establishing legal person-hood for apes, elephants and cetaceans in the US. Steve Wise argued to overturn the lower court's decision before the New York Supreme Court Appellate Division yesterday using the same argument he used in the film. That if we applied the Duties and Responsibilities requirements to humans for personhood, we could potentially lose protections for the disabled and children.